NPR will begin testing functions in its NPR One app this summer to help users donate through the app, including listeners in the U.K. Starting in June, NPR One users in New York, San Francisco, Boston and Chicago will be able to use a “one-touch” donation process, according to NPR Chief Digital Officer Thomas Hjelm, who discussed the plans at an NPR Board meeting May 4. A five-day international pilot in July will take a similar approach to collecting donations from NPR One users in the U.K., marking the first time the network will accept donations directly from listeners. NPR One users must now go through several steps to donate to a station through the app, including redirection to a station’s donation page. The one-touch function will allow users to simply tap a donate button and enter an amount or choose from predetermined amounts. It will use Apple Pay and Android Pay as payment processors, with neither getting a cut from transactions. Users will incur no transaction fees other than possible charges from credit card companies, Hjelm said. “That’s the good news,” he said. But rolling out the new function to more stations will require “a great deal of heavy lifting,” Hjelm added. NPR chose to work with stations in the four pilot cities because they have the resources and ability to integrate with the platform, Hjelm said. NPR expects to expand one-touch giving incrementally to more stations. The test is expected to begin June 6. 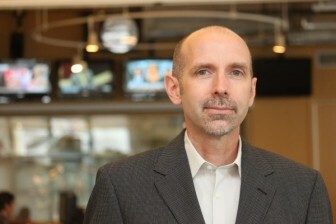 For the international pilot, NPR chose the U.K. because it offers a purer test of the function than Canada, where some listeners connect to U.S. stations, Hjelm said. NPR One users in the U.K. make up the app’s second-largest English-speaking audience outside of the U.S., after Canada. No one-size-fits-all solution to collecting international donations is possible because financial and legal implications vary among markets, Hjelm said. Data from the pilot is expected to be available by the end of July. If it succeeds, NPR will provide the donation functionality to U.K. users on a permanent basis starting in the fall. And it’s a short step from this to simply collecting donations to NPR directly and not to the member stations at all. But wait, you say, NPR is controlled by member stations and the member stations will never allow this? Don’t be naive. NPR One has, from its conception, blurred the lines in the minds of listeners. No longer are they getting their public radio content from a member station, they’re getting it through a mechanism that is near-wholly branded as “NPR”. So now, listeners who want to support it with a donation are expecting that they are supporting the entity they think they’re getting it from: NPR itself. Pretty soon, listeners will be DEMANDING that they be able to donate directly to NPR, because they see NPR as the sole source of all their favorite content. They DON’T see the massive content fees that member stations pay to NPR. Fees that’re what keeps NPR afloat. FWIW, this was always the endgame. It was the moment Kinsey Wilson announced it to member stations in April of 2014. NPR One was and is the first big mechanism by which NPR becomes independent of member station revenue…to the member stations’ detriment. I’ve said for a while now that Jarl Mohn at least stopped actively being hurtful towards member stations, unlike his predecessors. But he did nothing to reverse the damage. Between this and relocating NPR:DS into DC, he’s following in their footsteps again. Maybe, but I’m not sure that’s a bad thing. I see no particular reason why stations, as institutions, need to be perpetuated. All I care about preserving is the local production/reporting capacity. It’s hard for me to envision a system without stations that preserves that capacity, but if someone can devise one, I’m all for it.